The year 2017 marks the 25-year anniversary of the first television replay-assisted decision taken in cricket, when Sachin Tendulkar was given run-out by a third umpire. Cricket became one of the first in the world of professional sports to embrace technology to enhance the quality of the game, and still continues to. The 'Gentleman’s Game' soon added Hawk-Eye, Ultra-edge and Hot Spot to its technological roster as it aimed to reduce human error in decision-making by officials. Tennis, Badminton and Rugby too followed suit, and fans around the globe saw a fall in number of refereeing errors made in matches. It took a disallowed Frank Lampard goal in the 2010 FIFA World Cup for football's global governing body to realise that technology could no longer be ignored. Four years later in Brazil, goal-line technology was introduced, and football hasn’t looked back ever since. For the first time, FIFA have introduced Video Assistant Referee (VAR) in a major international tournament, with this year’s Confederations Cup in Russia being the tournament that will mark the introduction of the new technology. While its detractors have criticised it for slowing down the game, many have embraced the new addition. So how does VAR work exactly? Thankfully, the folks over at FIFA made an explainer video, set to a 1990’s electro-music track for our sake. 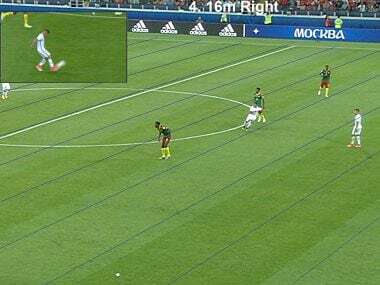 The first VAR assisted call at the tournament was made during the match between Portugal and Mexico. Portugal forward Nani converted from a rebound when Cristiano Ronaldo's volley had rattled the crossbar. 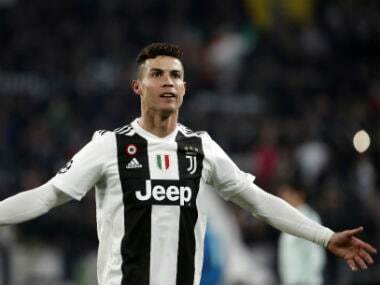 But the referee consulted with the video referee, who noticed that four Portuguese players had been offside in the passage of play before Ronaldo's shot. Chile striker Eduardo Vargas missed a whole host of chances in his side's victory over Cameroon, but became the first player to ever have goals disallowed and awarded by a video referee in the same match. The former Napoli man had an eventful day to say the least, as he struck the post in the first minute, saw a shot saved and blazed an excellent chance over before he eventually found the net in first-half stoppage-time. Over a minute had passed since Vargas' exuberant celebrations when the on-field referee signalled the goal had been chalked off. Initial replays appeared to show the forward level with the last defender, only for the technology that draws a line across the pitch to reveal half of his head was in an offside position. Confusion reigned in the stadium while Vargas and teammate Arturo Vidal frantically pointed at the replays on the big screen to try and prove their point as the players walked off for the interval. Alexis Sanchez, brought on as a second-half substitute after picking up an ankle injury in training, ran clean through on goal late on with a 38th Chile goal — a national record — for the taking. His shot was blocked, but with the Cameroon goalkeeper Fabrice Ondoa stranded, Vargas tapped in. 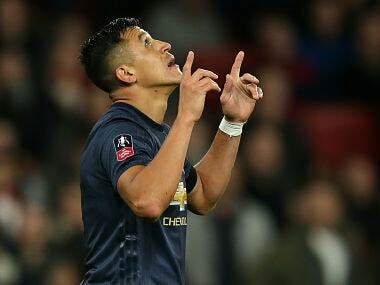 The 27-year-old was flabbergasted to see the linesman's flag raised, but video replays showed that Sanchez was onside in the build-up and Vargas' 34th international goal was given.